On location at Mohave Airport for the movie "Moving Violations." 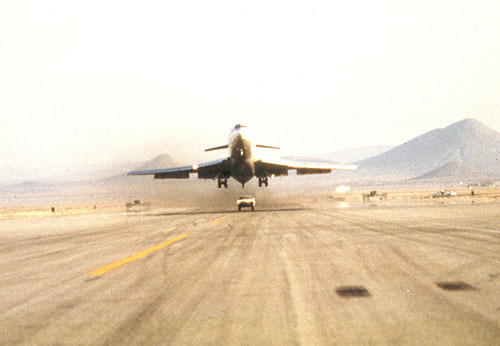 Danny Clisham, as Stunt Coordinator, drives the car at a speed of 150 mph, with Key Airlines Boeing 727 in hot pursuit. Clisham was doubling for Clara Peller. 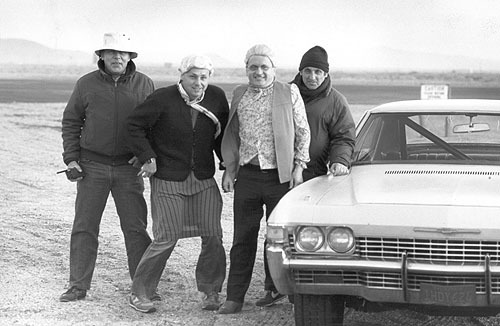 Danny Clisham, third from left, in character doubling for Clara "Where's the Beef?" Peller. Stuntman to the left of Danny is doubling for veteran actress Nedra Voltz. 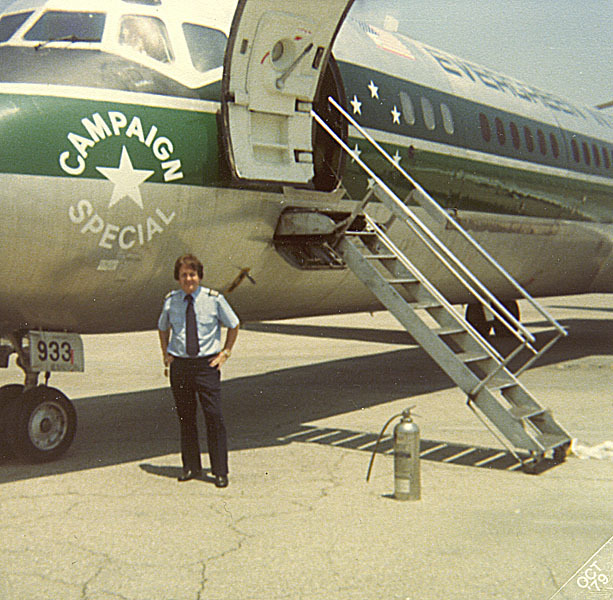 On location, Mohave Airport, California. for the movie "Moving Violations." On the set with Danny Clisham in "Where the Buffalo Roam," an Art Linson film. Danny was again the aviation stunt coordinator on this film, starring Bill Murray and Peter Boyle. On the tarmac at the Burbank Airport, the set for "Where the Buffalo Roam." 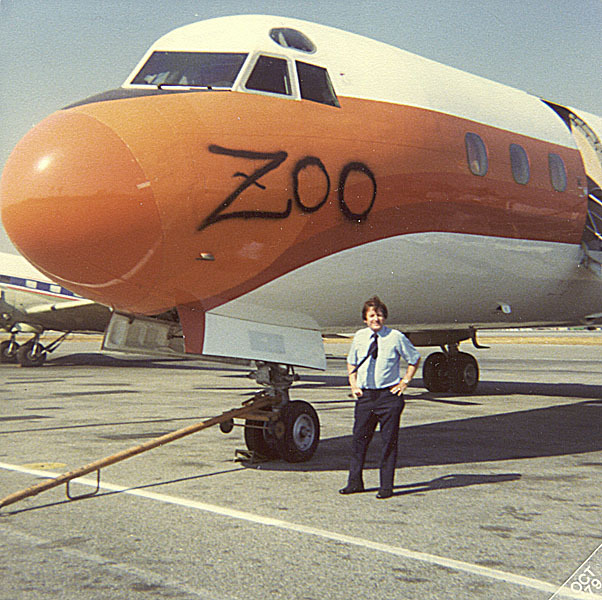 Danny, as aviation stunt coordinator, checks out one of the planes featured in the film. 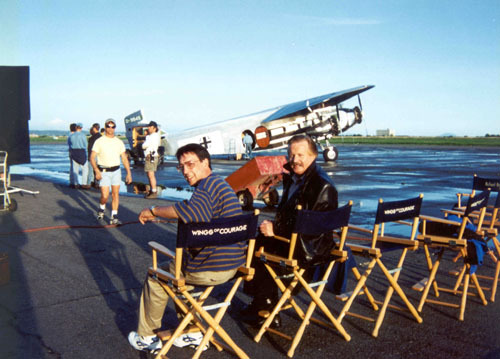 Danny on the set of "Wings of Courage" starring Val Kilmer. 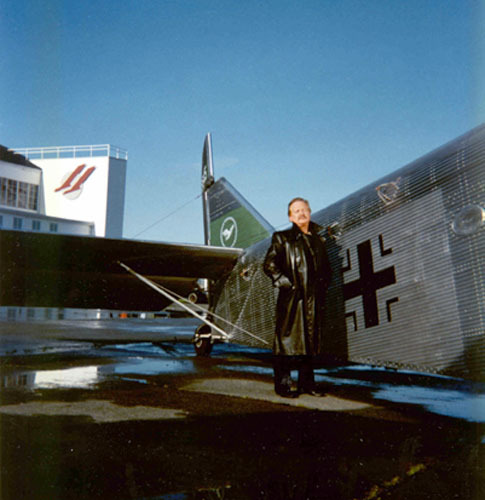 Danny served as the aviation stunt coordinator, and had an on-screen role as a German officer. Danny gets into his role as the German Officer in "Wings of Courage."